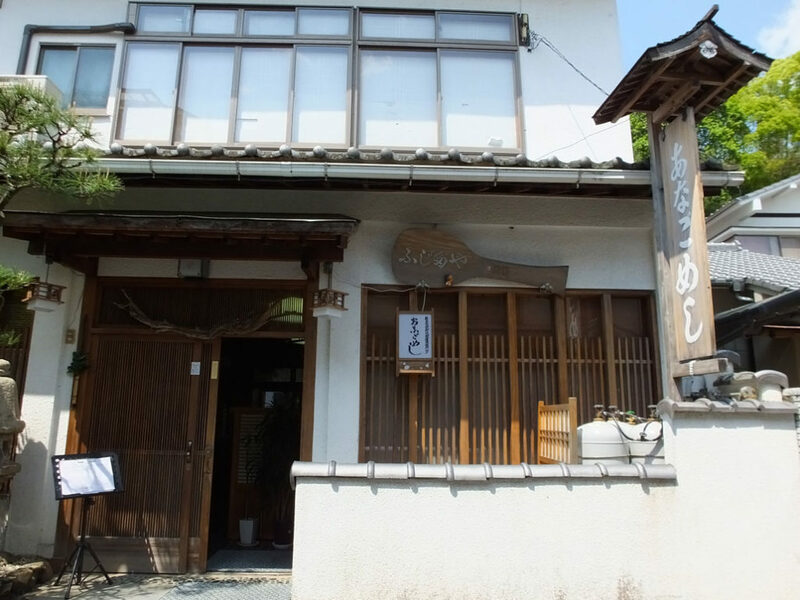 Fujitaya is a restaurant of anagomeshi, or a conger eel bowl. 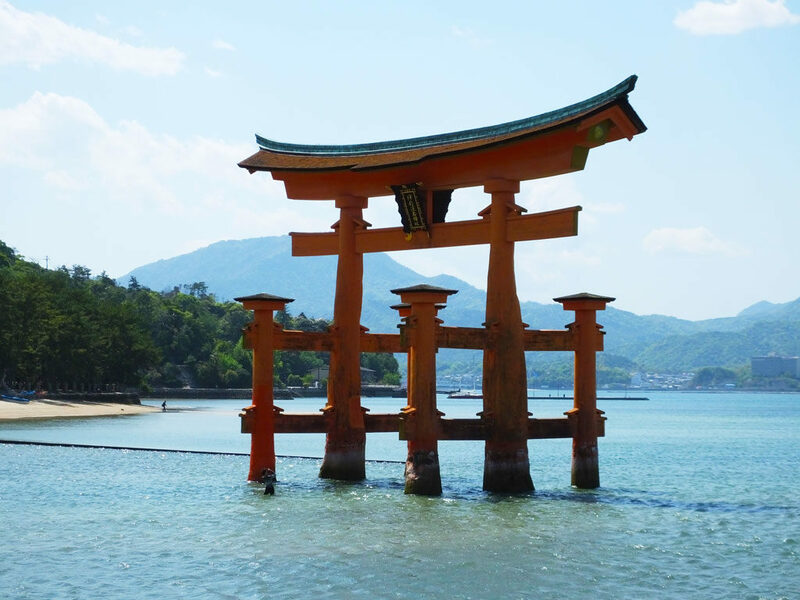 It is located in Miyajima in Hiroshima Prefecture. 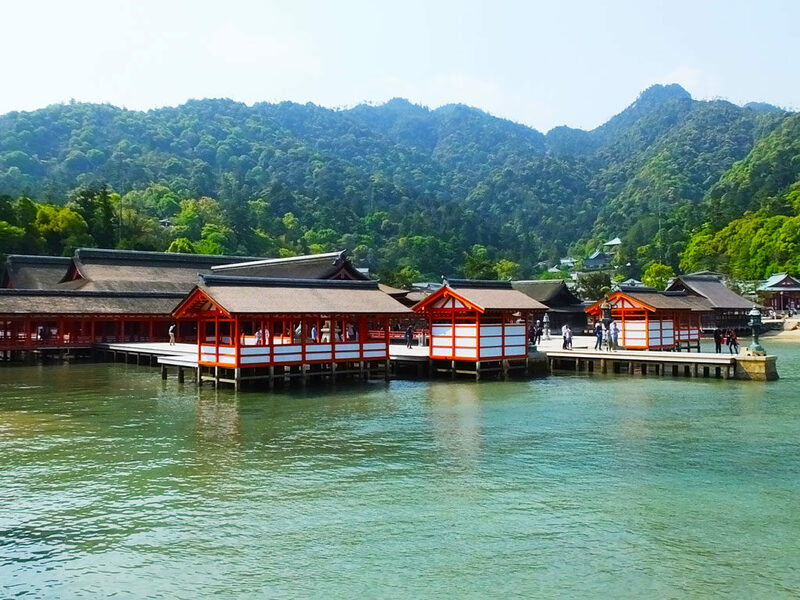 Miyajima is an island that is well known for Itsukushima Shrine and millions of tourists visit there every year. The tourists love to eat anagomeshi in Miyajima because conger eel has been a specialty of the island since the Edo Period (1603-1868) and there are many anagomeshi restaurants there. Among them, Fujitaya is only one restaurant that was recommended by Michelin Guide. 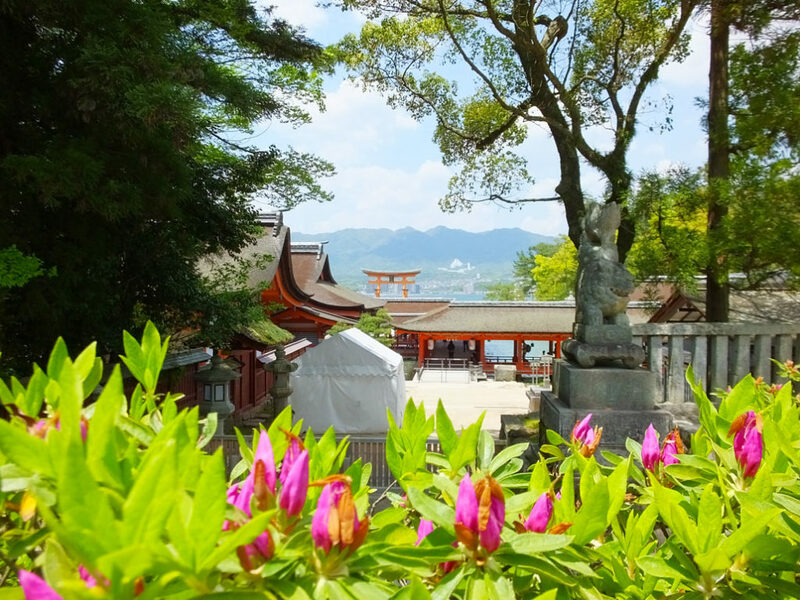 You can walk from Itsukushima Shrine to Fujitaya. It takes only a few minutes from the exit of the shrine. Fujitaya is so popular that you need to wait even if you go there before it opens. 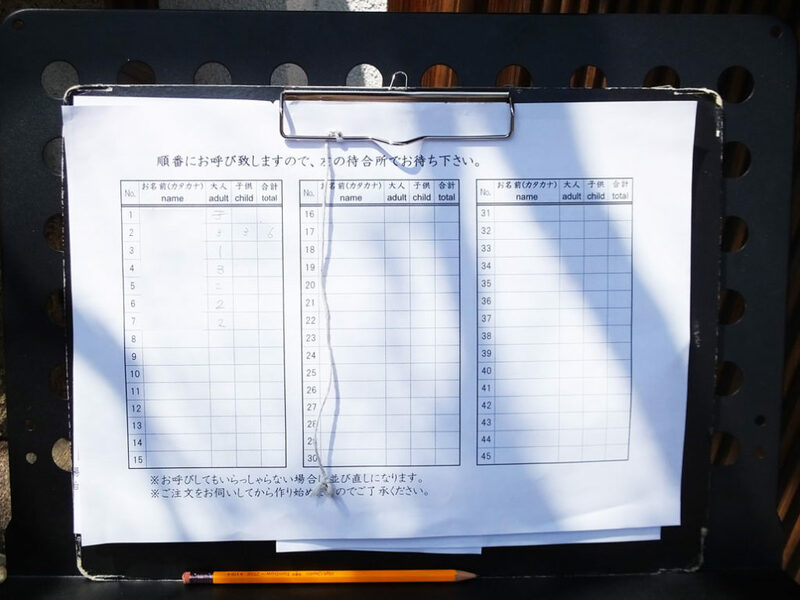 I arrived at Fujitaya 30 minutes earlier than its opening and filled in my name on the reservation sheet. Then I waited on a bench by the store. I was able to go into the store 15 minutes after it opened. If you want to shorten the waiting time, I recommend to go there before the opening time, like me. 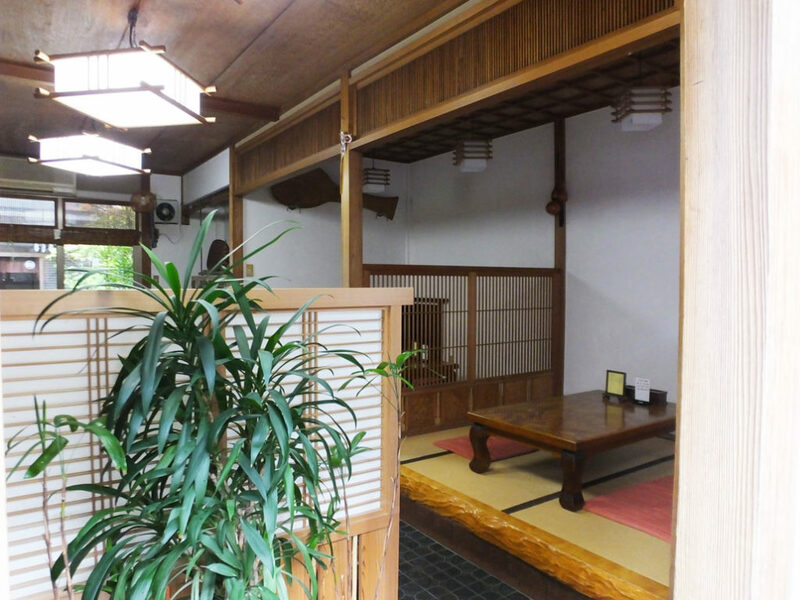 Fujitaya has an atmosphere of an old diner in the Japanese countryside. The main dish on the menu is Anagomeshi, and while I was waiting in there, one of the staff asked me if it was OK to serve it. Of course I said yes. I waited for about half an hour there, and finally, Anagomeshi was served in front of me. I was starving. The server said ”The bowl is very hot, so be careful.” I touched the bowl lightly, and it was really very hot. Can you guess why? Actually, this is because the tables are far from the kitchen. 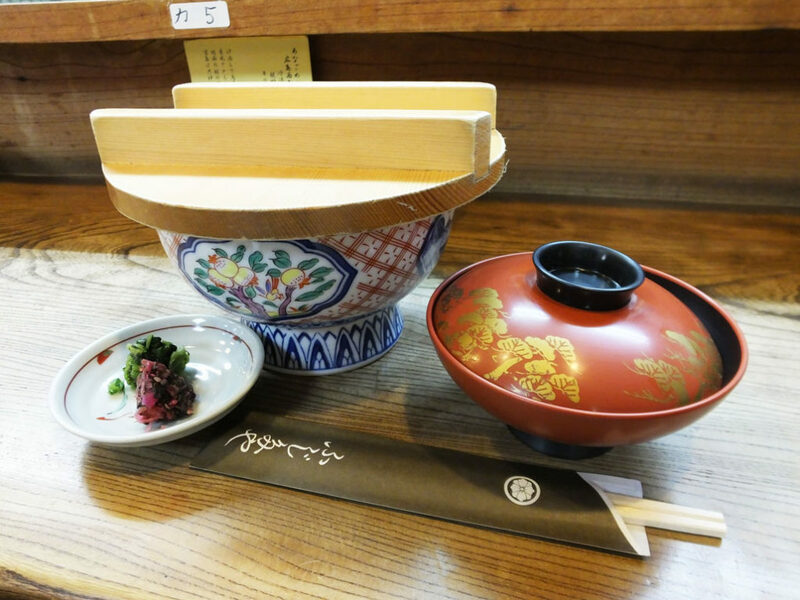 In Fujitaya, they keep bowls hot so that you can eat hot anagomeshi. I took off the big wooden lid of the bowl. The rice was covered with grilled conger eel. It looked so good! 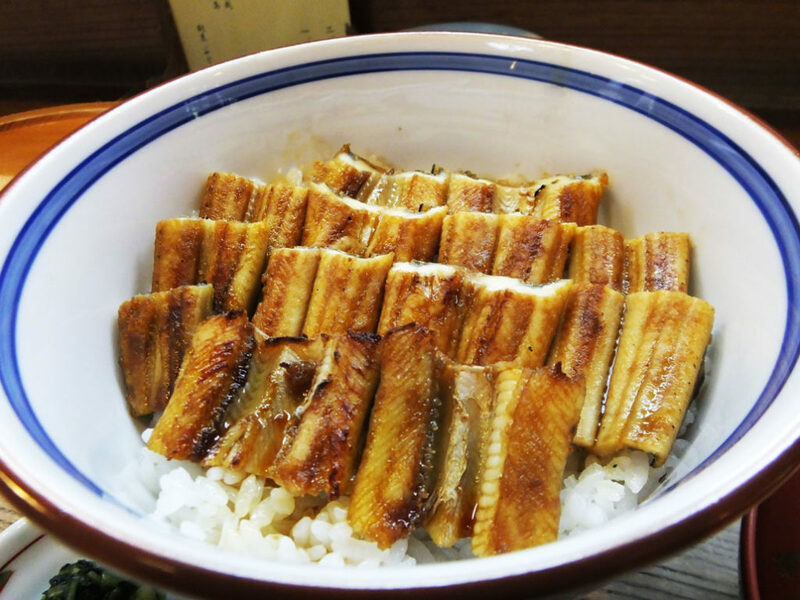 Originally, anagomeshi in Hiroshima are made with grilled conger eel like this, not boiled one. Grilled conger eel is not very soft, but tasty with a firm texture. 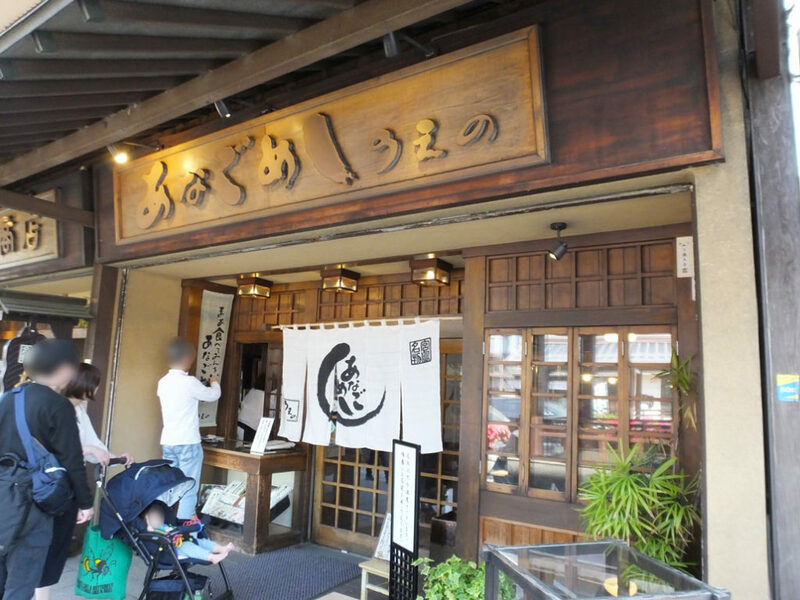 (If you want to eat fluffy conger eel, I recommend another restaurant in Miyajima, Wada.) Fujitaya’s Anagomeshi was lighter than I expected, and I enjoyed the delicate taste of the conger eel. In Fujitaya, they use only wild conger eels caught in the Miyajima area. I recommend this restaurant if you want to eat real anagomeshi with Miyajima conger eel, though it is the most expensive in Miyajima (2,300 yen in 2018). However, I regret to say that little children (elementary school students or under) are not allowed to enter the restaurant. If you want to take children, I recommend to buy lunch boxes of conger eel and rice at Anagomeshi Ueno in Miyajimaguchi, and then go to the Miyajima island by ferry. (The store is located not on the Miyajima island but on the main island of Honshu.) You can have lunch outside, surrounded by nature there. They grill the conger eel in Anagomeshi Ueno, and the store is as popular as Fujitaya.